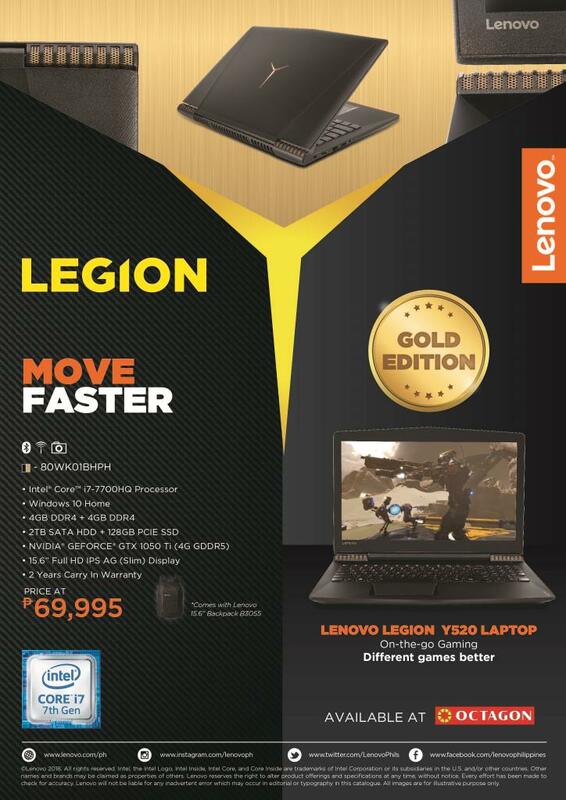 Lenovo's limited edition gold Legion Y520 gaming laptop is now available in the Philippines. This latest gaming laptop with its improved hardware will definitely raise the bar when it comes to gaming experience. This laptop is best for gamer's who want a faster device. Buyer's will be treated to a free memory upgrade up to 8GB RAM- just think about how fast you can play your games. Aside from having Lenovo's signature watchband hinge in gold, it also has 2x the storage capacity of the original Legion &520.